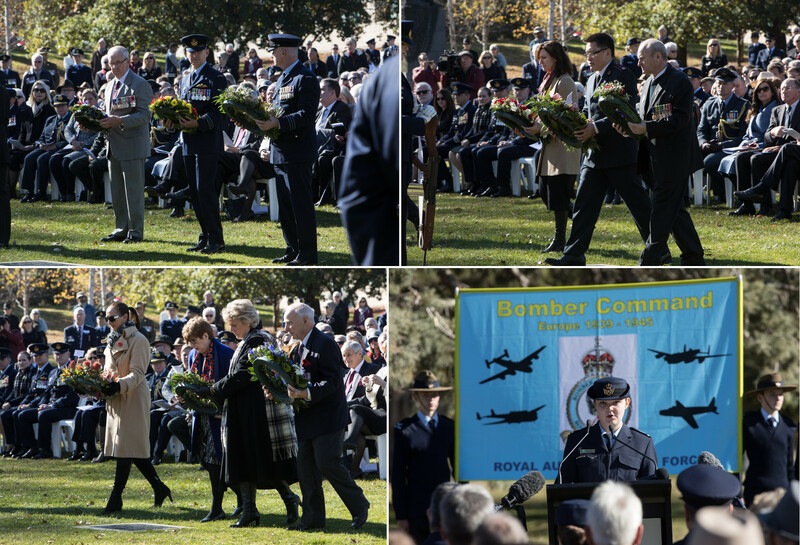 2017 Bomber Command Canberra Commemorative Ceremony Review – Bomber Command Commemorative Day Foundation Inc.
Canberra June 3rd & 4th 2017 saw the Foundation commemorate the Anniversary of the RAAF Squadrons operating within Bomber Command as individual squadrons. 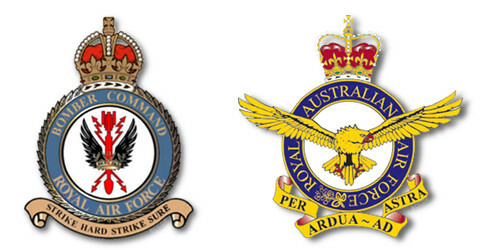 Although many RAAF airmen still flew with RAF Squadrons the prestige of having RAAF Squadrons recognised as fully operational units was a magnificent acceptance of quality of Bomber Command crews. 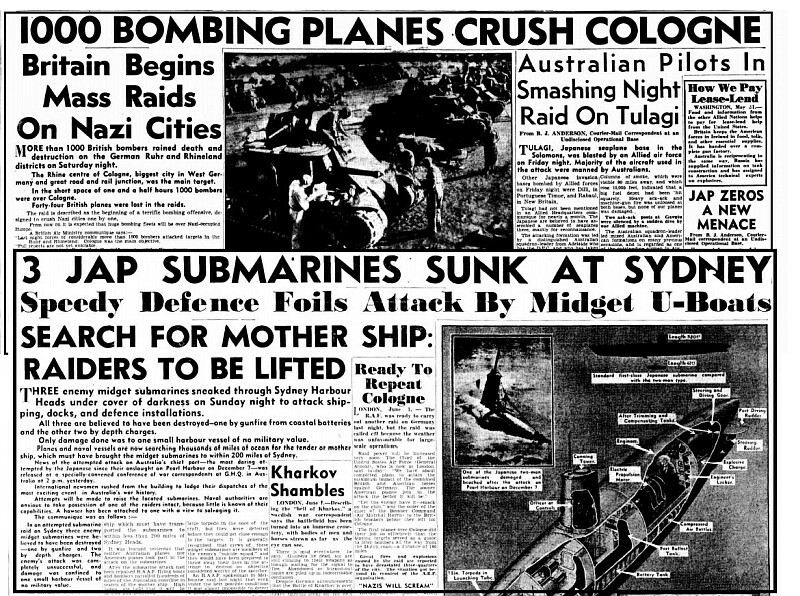 This small country of Australia was fighting wars on two fronts, one at home and one half way round the world. 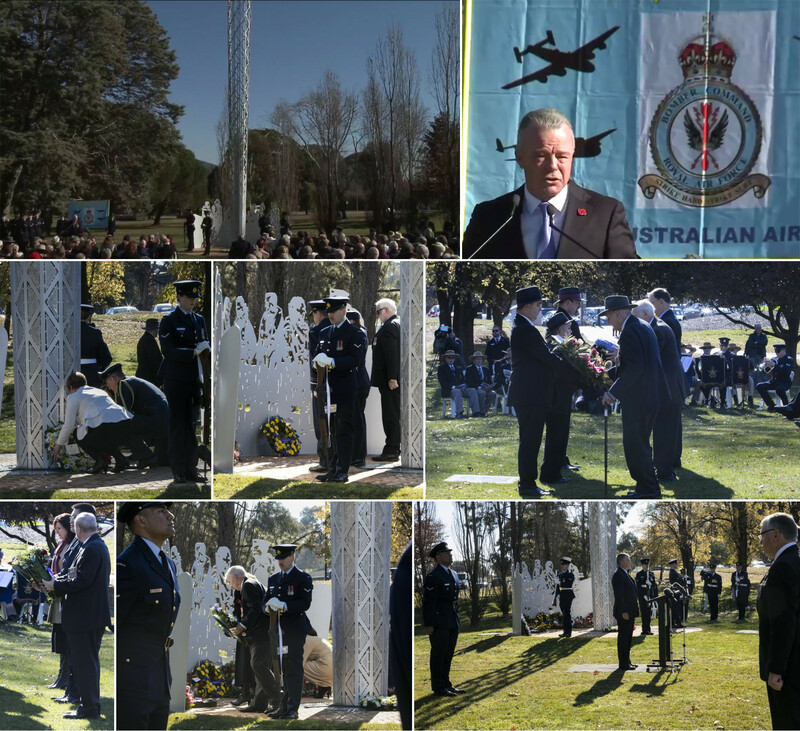 The weekend of commemoration commenced with the Australian War Memorial honouring Flt. Lt. Williams in the Last Post Ceremony. 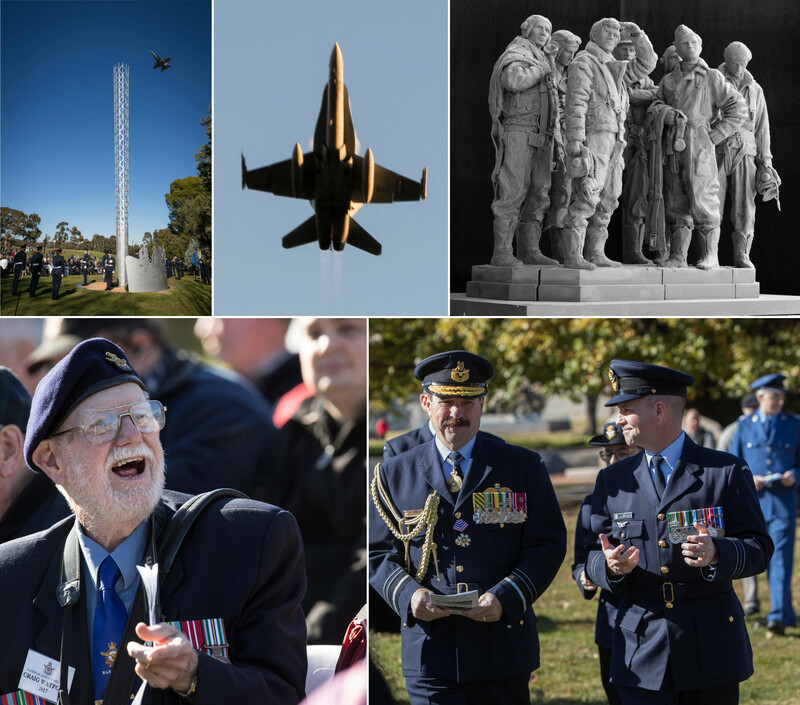 A large crowd who had gathered to witness the dedication to an RAAF Dam Buster airman were also present to attend the Foundation’s Annual Meet and Greet social function in the Anzac Hall held alongside Lancaster G-George the iconic Bomber Command Australian bomber from 460 Squadron. G–George caught up with former 460 pilot Murray Maxton. Murray was treated to a personal inspection escorted by AWM Director Brendan Nelson to his old flying position at the controls of George. A most unique re-union and no doubt very emotional. Sunday morning produced a beautiful May day to welcome a very large gathering of some 500 hundred supporters to hear Dr. Nelson as the key-note speaker. A wondrous knowledge of Australia’s military history presented in a most polished manner makes the occasion a very memorable experience of both history and emotion. 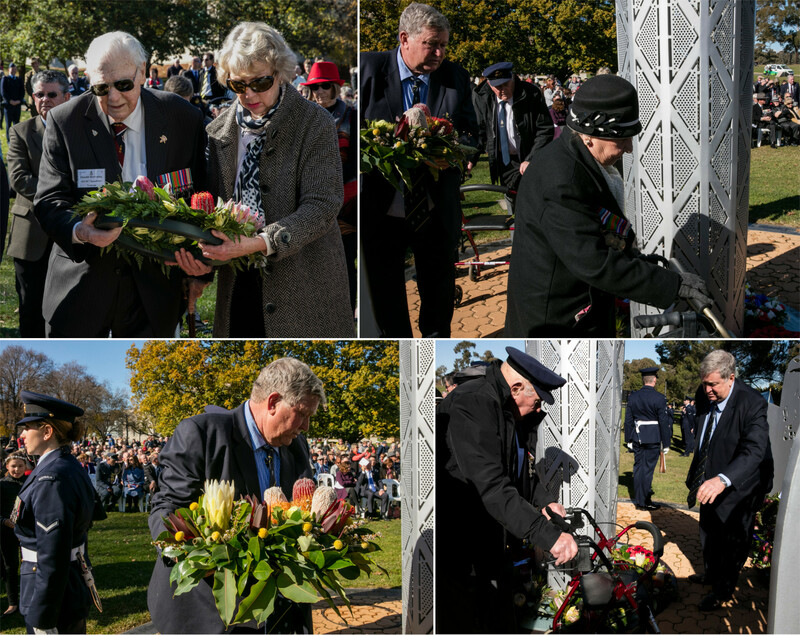 The service was followed by contributions of wreath laying by Military, Legacy, Salvation Army and Red Cross representatives. And of course Veterans and descendants. 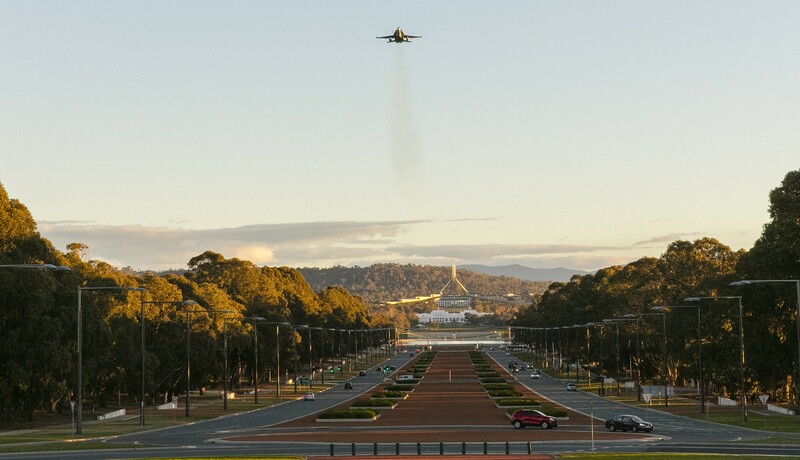 Anticipation was rife when an announcement was made that the service would conclude by an RAAF FA-18 fighter from Williamtown RAAF Base and would be doing a flyover. If there could be any highlight of the Service it would be the gathering of the eagles, the Veterans themselves. 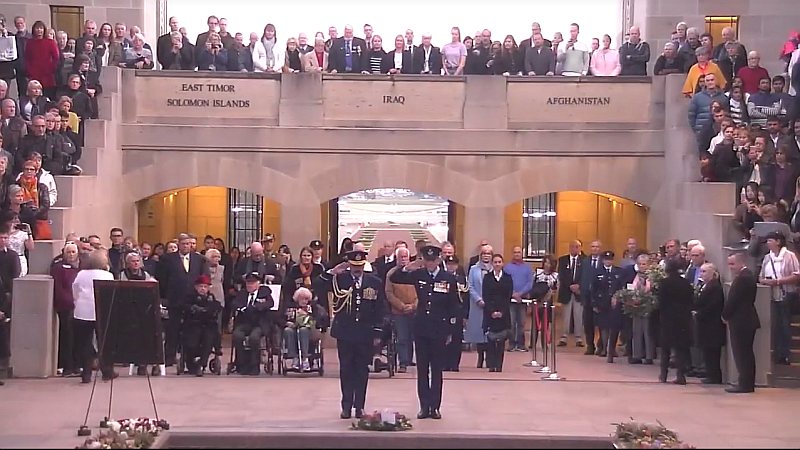 34 Bomber Command veterans were able to make the journey to be honoured for their service. But the weekend didn’t end there, what followed was a memorable luncheon…..